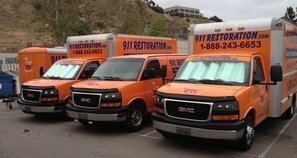 In order to get your home the most proper home restoration services, you need to contact the water damage Cartersville crew at 911 Restoration Atlanta. You should call us the moment the damage occurs, even if it is the middle of the night, because we keep our office available 24/7/365. Homeowners can be sure that we do everything we can on our end to get you the quickest water cleanup in the industry. 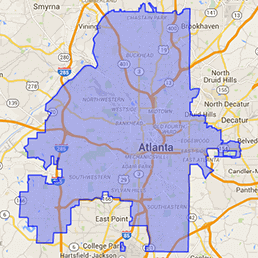 Once we understand the magnitude of your situation, we will dispatch water damage Cartersville units to your property, ensuring that they get there within 45 minutes, or less. When it comes to water based issues like the ones mentioned above, we always implement same day services. That way the damage stays as contained as possible and we have the best chances at recovering your home. Call our water damage Cartersville operation today and our IICRC certified techs will provide you with a fresh start. It is not something that homeowners really think about, especially since chimneys are associated with fire, but chimneys are are actually damaged more by water than any other element. There is nothing that protects the chimney, making it constantly exposed to rain and snow. Since it is made out of brick and mortar, or some type of steel, it is easy for it to become worn down by its contact with moisture. When rain soaks the chimney and that rain freezes, the water can then expand, causing the chimney materials to deteriorate. If there is any metal on the structure, then rust can also become an issue. We are trained in mitigating all roof-related water issues, focusing on prevention as well as repairing past damage. Call our water damage Cartersville professionals today and they will get on top of your home to inspect all elements of the roof and promptly repair any damage that has been done. 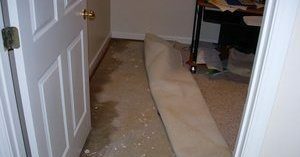 It is important that you know of a water damage remediation company you can depend on to get your home cleaned up without costing you an arm and a leg. Our water damage Cartersville techs always consistently offer the most affordable prices in the industry, because we never want you to feel like you can afford our help. By letting us file your claim for you, you can be sure that you are having the most qualified members work on your claim. This way you have the best chances at getting full coverage. We want to help you get the financial aid you deserve, so call our water damage Cartersville experts at 911 Restoration of Atlanta and we will do whatever it takes to get you fast and efficient flood and leak remediation.